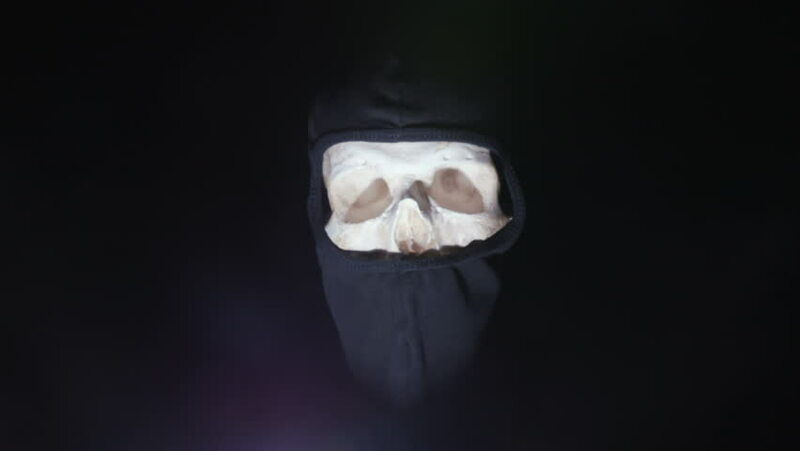 Terrible skull in black balaclava looking around in darkness and disappearing. Nightmare the night before Halloween. Horror. 4k00:40Rotating eurasian or european badger skull against black background, high angle. hd00:08Nightmare shot of man turns into a demon. Obsessed with the devil. hd00:19UNITED STATES 1940s: Nazi flag lights on fire / Long shot of boats on water at night / Boats at night.